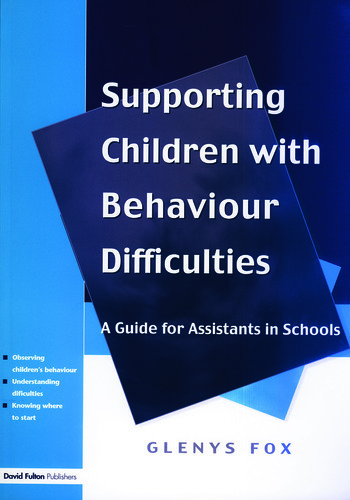 This practical guide is written to help assistants in supporting children who have behavior difficulties. The author provides a description of the role of the assistant in working with the class teacher to enable children to learn good behavior in schools, a clear description of the range of behavior difficulties, and information on strategies that work in managing behavior. The book is relevant and useful for any assistant working directly with children, as all assistants in the course of their work need to develop a repertoire of effective strategies for managing behavior. It is particularly helpful for assistants who work routinely with children who present behavior problems as it guides understanding and provides a helpful framework for knowing where to start, what to do and how to do it. The book is also an invaluable resource in the training of assistants.